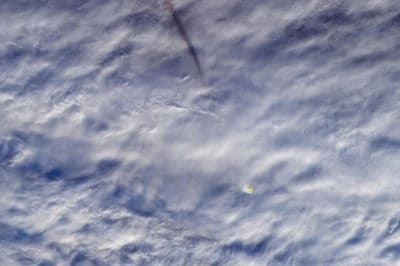 On December 18, 2018, the Multi-angle Imaging SpectroRadiometer (MISR) instrument on NASA’s Terra satellite detected the aftermath of an explosion of a fireball (a very bright meteor) 16 miles (26 kilometers) over the Bering Sea. 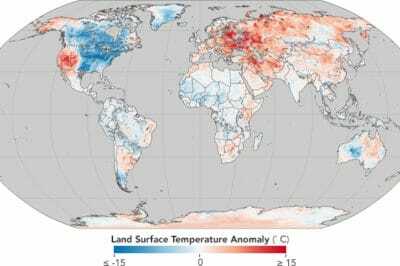 NASA has compiled a temperature anomaly map of the world using data acquired between December 26, 2017 and January 2, 2018. 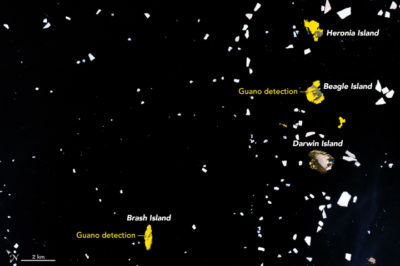 Researchers are using Landsat 7 satellite imagery on Antarctica’s penguin population and estimating their numbers based on the large guano stains left behind. Hurricane Ophelia on October 11, 2017. Image: European Space Agency. 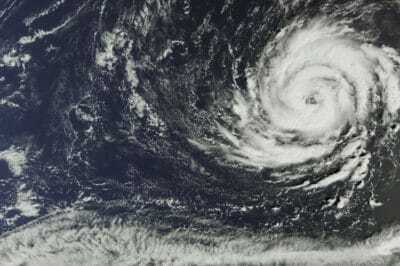 On Saturday, October 15, 2017, Hurricane Ophelia strengthened to Category 3 status making it the first recorded eastern hurricane to be this strong. 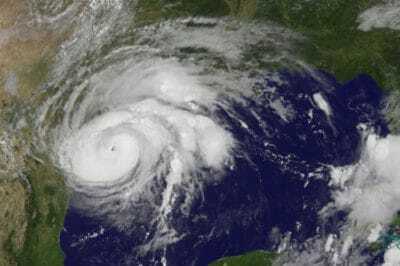 Several satellites have been tracking and measuring the intensity of Hurricane Harvey. 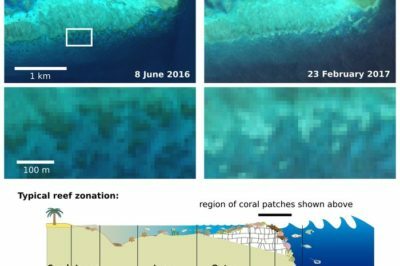 The Great Barrier Reef has undergone two severe bleaching events in successive years. This has been caused by the warming of the oceans due to climate change. Discovered in 1976 in imagery captured by Landsat 1, Landsat Island (60° 10′ 37″N, 64° 02′ 30″W) is solely populated by polar bears. 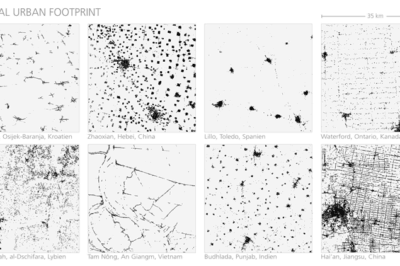 View the global human footprint map developed from 180,000 satellite images. 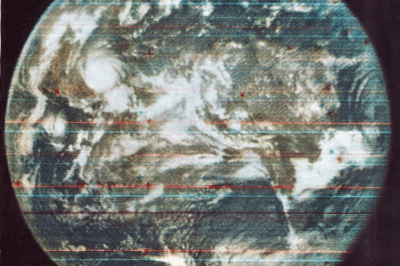 This geography quiz features ten satellite images each showing an anthropogenic activity. 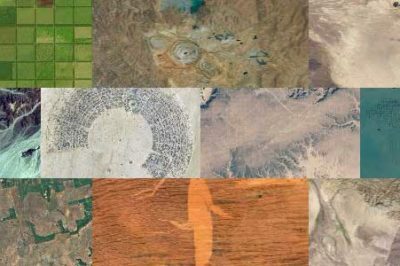 Can you figure out what the human activity shown on each image is? 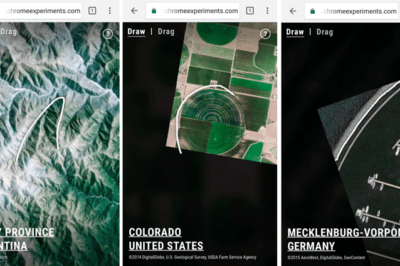 Land Lines is an experimental online tool that matches drawn gestures on the screen with landforms extracted from satellite imagery. 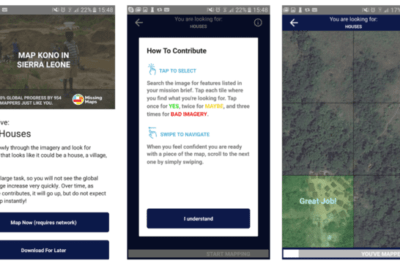 MapSwipe and its team of digital volunteers utilize the abundance of smart phone technology to gather more information on natural disasters and the impact they have on people, cities, and countries around the world.